Is there really life after death? Mark Anthony believes there is. To him, and too many, death is just a beginning…not an end. 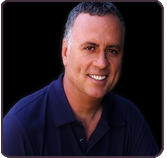 Mark Anthony is a practicing medium, descended from a long line of psychics and mediums. For over 100 years, his ancestors have had significant psychic and mediumistic ability. These courageous people of faith had to cope with extraordinary challenges ranging from the deaths of loved ones to kidnapping, the Great Depression, two world wars, and the “stigma” of having psychic and mediumistic abilities in a time, when those gifts were looked upon as a curse, instead of the blessing. Although he has inherited the ability to communicate with spirits, he did not go public until he experienced an unexpected death in the family, which became the catalyst for Mark to embrace his abilities openly. Join Georgiann and Mark on Breaking Through. Great!! Very interesting article.. In this website, an attempt has been made to provide analysis and ideas that may not be readily found elsewhere whilst at the same time trying to present the most significant and diverse evidence that is known about this subject in an objective manner while taking a scientific rational approach as best I can without bringing faith into the equation. Thanks for sharing..